Nevada City, Calif. March 22, 2019 – Just in time for spring, Hiking For Good is offering two special field trips in March that explore Northern California’s rich history and biodiversity, wildflowers and waterfalls while giving back to a local nonprofit. Local Archaeologist Hank Meals will lead a 6 – 8 mile walk at Spenceville Wildlife Area to Fairy Falls and beyond on Sunday, March 24. 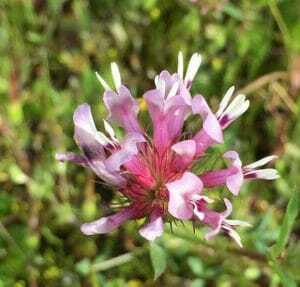 On March 30, California Naturalist Steve Roddy and friends will lead a three mile “saunter” at Table Mountain to view the wildflower display and visit Coal Canyon Falls (sometimes called Phantom Falls). A percentage of proceeds will be donated to the local Nevada County-based Redbud Chapter of the California Native Plant Society and their ongoing efforts to protect plant communities of special concern. “Do you want to get outdoors, connect with the wild, and meet interesting people? Hiking For Good offers an array of day hikes and backpacking trips for folks of all ages, abilities and interests. Together we’ll go to beautiful places, immerse ourselves in the natural world to learn and discover, make new friends and reap the health benefits of walking,” said hiking guide Laura Petersen who founded Hiking For Good last summer while training to hike the 190-mile Tahoe Rim Trail around Lake Tahoe. Since then, Hiking For Good has teamed up with Outlandish Experiences to offer a full spectrum of outings all year long. Celebrated archaeologist and author of local hiking and history books, Hank Meals will lead a Yuba Trails and Tales adventure into the heart of Spenceville Wildlife and Recreation Area on Sunday, March 24 for Hiking For Good. 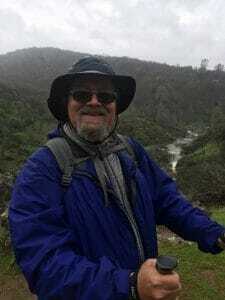 “Hank Meals has been the steadiest, longest, hands and feet-on student and admirer of the Northern Sierra / Yuba River watersheds’ ridges and canyons and forests in many centuries. A living scholar-worker-poet of overview and underbrush, he’s creating a new way of getting to know nature from inside,” said Gary Snyder, Pulitzer Prize-winning Poet and friend. “We are very fortunate to have access to low elevation blue oak habitat in rolling hills, especially beautiful in late winter and spring. Most of this kind of landscape in California has been converted into housing tracts,” said Meals. The recreation area is rich with evidence of human history – Nisenan, early townsites, important transportation corridors and the Beale legacy. Plan on getting away from it all with wild viewsheds that resemble what California used to look like. Meal’s Yuba Trails & Tales Series, exclusive to Hiking For Good & Outlandish Experiences, will explore different cultural landscapes at different elevations within the Yuba, Bear and American River Watersheds throughout 2019. 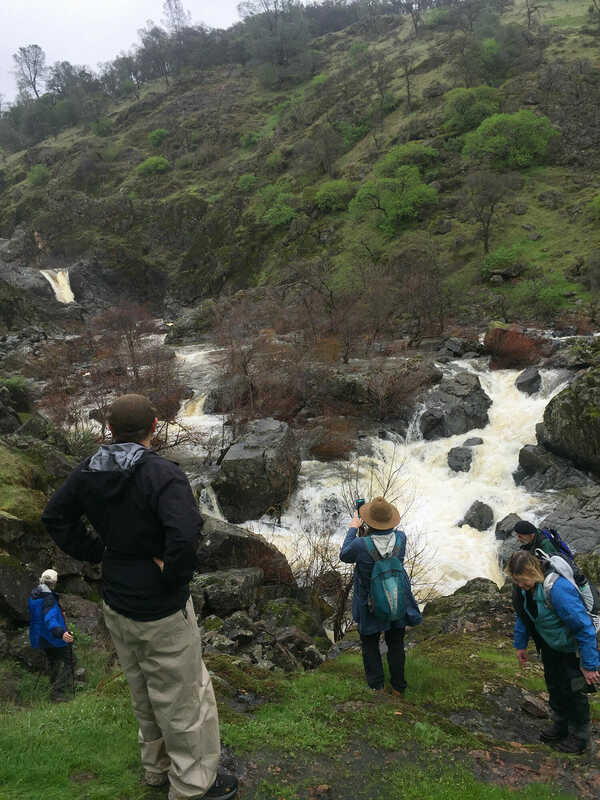 Join Hiking For Good on Saturday, March 30 for a special field trip to Table Mountain Ecological Reserve in Butte County to view some of the best wildflowers and waterfalls in the state. Participants will meet in Nevada County and caravan to the site. Created by ancient lava (basalt) flows, the approximately 3,300-acre North Table Mountain Ecological Reserve is an elevated basalt mesa with beautiful vistas of spring wildflowers, waterfalls, lava outcrops, and a rare type of vernal pool, called Northern Basalt Flow Vernal Pools. Only specialized plants and animals adapted to this habitat can survive over time. In spring, the landscape is abundant with seasonal streams and waterfalls. “As far as a true native piece of California, Table Mountain is it,” said local horticulturist Justin Maciulis. In the 1990s, the state Department of Fish and Game acquired more than 3,300 acres to help protect vernal pools and the habitat of several rare plants and animals known to occur on North Table Mountain. The mountain, part of the Lovejoy Formation, is believed to date back to 14 million and 39 million year ago, much older than the nearby Sutter Buttes or Mount Shasta, according to “Wildflowers of Table Mountain Butte County, California” by Samantha Mackey and Albin Bills. Hiking For Good’s “saunters” are meant to immerse participants in the natural world to practice awareness and observation skills. Field guides, journals and sketchbooks, cameras and binoculars are welcome and encouraged.